BUY, SGD0.57 target price reflects 78% upside plus 1% FY19F (Mar) yield. We believe Yoma Strategic Holdings Ltd (SGX:Z59) is well-poised for its next leg of growth, with the steady expansion of its non-real estate segment offsetting weakness in its real estate unit. Key risks: slow pace of political and economic reforms, macroeconomic uncertainty and forex risks. Target Price reflects a 20% discount to our SOP valuation. Yoma F&B – YKKO acquisition to immediately contribute to earnings. In February, Yoma Strategic announced the acquisition of a 65% stake in Yankin Kyay Oh Group (YKKO). YKKO, one of the largest local restaurant chains (37 outlets) in Myanmar, is famous for its Kyay-Oh, a popular vermicelli and flat rice noodle-based dish. The total price consideration of USD12.6m, based on 10x FY2018 EV/EBITDA, is reasonable. There is more upside potential with earnings expected to grow by double digits in the next 2-3 years. On its KFC business, Yoma now runs 33 stores (as at Dec 2018), vs its 32-store target by Mar 2019. With growing scale and continued positive SSSG, management is confident of cash flow breaking even in FY20. Real estate – building more affordable homes. Due to a slowdown in its mid-to high-end residential properties business, Yoma recently expanded its offering with City Loft (affordable houses targeting the mid-income segment). The strategy proved effective, with Yoma selling ~90% of the 357 units launched. Earnings will kick in from FY20F, with construction having commenced early this year. While margins for City Loft are likely to be lower at ~25%, vs 35%-45% for high-end homes, it should provide much-needed earnings visibility. At Peninsula Residences Yangon, Yoma Strategic has sold 11 units, with 6 more being reserved out of 30 units launched as at 3QFY19. Yoma Motors impacted by strong monsoon season and slower agriculture growth. Yoma Strategic’s New Holland Tractor business, a key contributor of Yoma Motors, has been impacted by the strong monsoon season and slowdown in the agriculture sector. This led to 3QFY19/9MFY19 segmental revenue declining 25%/31%y-o-y. Management is currently broadening its product range to target a wider section of the agriculture sector. Financial services segment showing healthy improvement. Yoma Strategic’s fleet size has increased by 40% since FY18 to 1,003 vehicles, resulting in 9MFY19 segmental revenue growth of 17%. Management remains optimistic on leasing activity prospects, with growth from organic and inorganic expansion. Wave Money’s cash flow broke even in Sep 2018 and continues to see a double-digit m-o-m revenue and transaction growth. We cut FY19-21F earnings by 12-14% to factor in the slowdown in Yoma Strategic’s real estate and auto businesses. 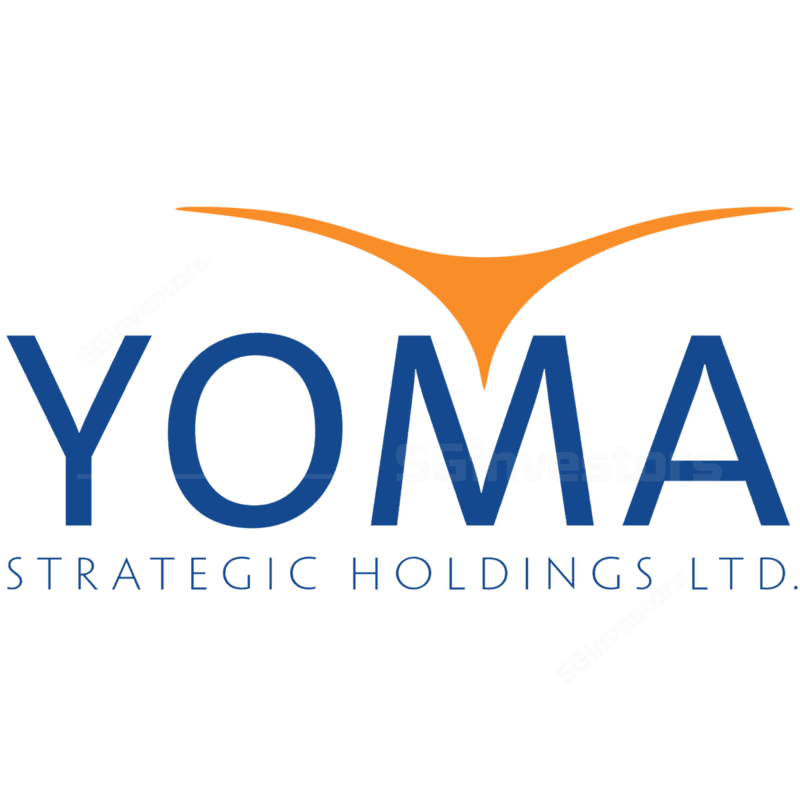 See attached PDF report for Yoma Strategic's SOP valuation details.